Dishonored is back, and it’s swapping out the rat-infested, plague-ridden Dunwall for the wind-powered and overwhelmingly dusty streets of Karnaca. In this new setting, players can choose whether to play through the game as master assassin Corvo – the first game’s protagonist – or Emily Kaldwin, 15 years older and already an empress, the little go-getter. For anyone who thought the first game offered an unparalleled level of replayability, the addition of a new protagonist with her own powers promises to sneak up on that thought and silently drag a blade across its jugular. Um, sorry about that mental image. Always searching the horizon? Here are the best upcoming PC games. In anticipation of Arkane Studio’s sequel, we’ve gathered up everything we know about Dishonored 2 to make the countdown to release that little bit easier for everyone. Throw your wallet in the bin, set the bin on fire and kick it straight into the abyss, because Dishonored 2 will – like seemingly every other major release – be out in time for the 2016 holiday season. You’ll be able to assume control of Emily or Corvo come November 11, 2016, to be precise – precise like a knife in the ear. It’s gone gold now too, so we’re just counting down the days, without fear of a delay. It’s a Dishonored game, so the basic formula of stealth, magic abilities and all-out slaughter are set to reappear in Karnaca. Those systems, however, are due to receive a hearty kick to the posterior for Dishonored 2 (funnily enough, a swift kick to the arse is one of your many new tools), which means new abilities, greater depth of combat and more ways to navigate each level. 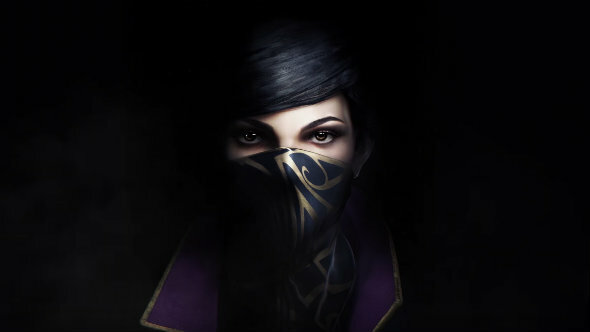 As mentioned previously, Dishonored also brings Emily Kaldwin into the fold as a second playable character, with unique abilities and skills. Some of Emily’s powers will have similar uses to Corvo’s, but with tweaks, like Far Reach, which works like Blink in the first Dishonored, but without making the user invisible or invincible. There’s a tradeoff, though, because Far Reach can also be used to pull objects and people toward the player and it can also be used to launch yourself past anchor points, like a spectral grappling hook. New tricks enter the game too, like Domino, an ability that connects the fate of each target: whatever you do to one, happens to all (even a kick in the arse). Mezmerize is another ability for the newly-crowned Emily, and it does what you’d expect it to: forces a targeted guard into a stupor, distracting them with an unknowable void, so you can walk past them without them remembering you were even there. You can refuse The Outsider’s gift of magical powers at the very beginning of the game, too, which means playing the whole game without them. 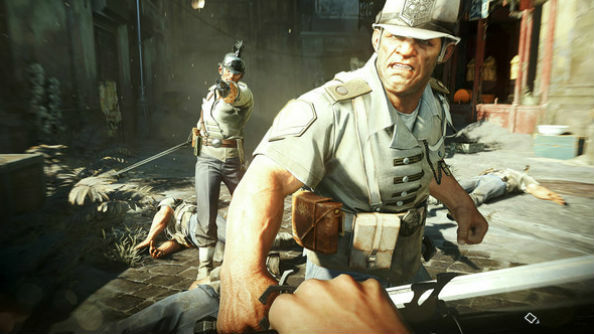 Passive playthroughs were a much-loved characteristic of Dishonored, but they were incredibly challenging. For Dishonored 2, Arkane Studios have fleshed out the skill tree to make finishing the campaign without drawing blood a lot more viable – every power will have a use for both stealth and aggression. Additionally, if you’re pulled into combat, there’s now a way of dealing with the situation non-lethally. You can slide into a melee knockout, or you can use the combat choke -a new way to control enemies who are aggroed. You can stun enemies and grab them around the throat – from here you can choke them out, use them as a human shield or even throw them. There’s a sword upgrade later on that lets you block bullets like a ninja, too, so you can just shrug off an enemy assault as you close the distance. On top of all this, there are plenty of little tweaks to gameplay, like the ability to peek over cover, not just around corners. Then there are Black Bone Charms, a rare new variant of upgrade that enemies will sometimes have equipped, granting them interesting abilities. There are little AI tweaks too, like how guards will sometimes flee – when running away, they can fall over, giving you a chance to capitalise on their error. Powers have also been reworked and you can add extra upgrades to them – Bend Time allows you to scrub time forward slightly, for example. There are tons of little tweaks and improvements, which should all hopefully lead to more scope for experimentation. 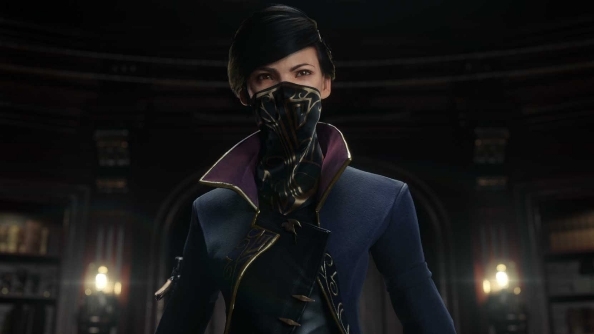 Dishonored had its share of famous voice talent, including Michael Madsenand Chloë Grace Moretz, but the sequel is taking things up a notch. Even Corvo is voiced here, and by none other than Thief’s Garrett, Stephen Russell. It’s going to be talky. Karnaca is the new stomping ground for Dishonored 2 and it bears little resemblance to Dunwall. The mix of art-nouveau, Victorian, Jacobean and Gothic architecture is largely still there, but this city isn’t being wracked by plague, which makes it decidedly less miserable. Don’t think it’s not at least a bit disgusting though, as rats have been replaced by bloodflies – swarms of blood-sucking pests that lay their fleshy nests in corpses, meaning more will appear if you cause Chaos – so there’s that to look forward to. The whole place is also wind-powered, which aside from making it green, also makes it prone to large, blinding dust storms – you know, the kind that cause spikes in assassination statistics. The level designers worked very closely with the art team for this sequel, making sure Karnaca was both fun to navigate while still making sense as a place. Playing with no powers? You’ll still find a way to scramble up and parkour across the rooftops. The Dreadful Whale is your new hub, and it’s where you’ll be hanging out between missions. The trawling ship will replace the Hound Pits Pub from the first game. Inventor Anton Sokolov will be aboard, so he’ll probably be the go-to guy for equipment upgrades.Meagan Foster is the one-armed captain of the Dreadful Wale and she’ll replace Boatman Samuel Beechworth as your murder taxi. The narrative takes place 15 years after the events of the first game, and assumes the canon ending that Emily Kaldwin survived after Corvo’s Low Chaos revenge mission. 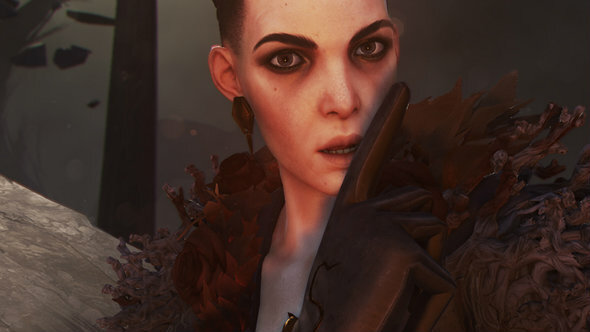 No longer a princess, Emily has taken to the throne as empress, struggling to find her feet in the role before an “otherworldly usurper” – Delilah, the antagonist from Dishonored DLC The Bridgemore Witches – seizes Dunwall. The solution: either Corvo enters into a sprint of killings (or not killings) to fix things, or Emily gains some supernatural abilities and does it herself. She’s all grown up now, after all. Far Reach – Far Reach is Emily’s ethereal grappling hook – a blackened, gaseouslimb that can reach out and pull you towards things in the environment or pull things in the environment towards you. Whale oil tanks can be flung. Guards can be thrown through walls of light that you’ve rigged to kill enemies. There are no doubt more subtleties of this new exploration and combat tool, making it wildly different to Corvo’s Blink ability. Dark Vision – Dark Vision allows you to see enemies through walls. It can be upgraded to see security systems, sound and even enemy routes. Mesmerize – Mesmerize calls forth an unknowable void that beckons enemies to get lost in its glare. It can either be used to slip past or to kill enemies while they’re distracted. Upgrades allow you to increase its duration and the amount of people it can enthral at once. Domino – As its name suggests, Domino allows you to link people by fate. Once linked, anything you do to one happens to them all, whether you’re kicking them directly in the arse cheek or throwing them from a cliff. Upgrades allow you to link up to four people. Shadow Walk – This power allows Emily to transform into a shadow being capable of crawling through a corridor, passing through small openings, and tearing a man in half. Doppelganger – Emily can make a copy of herself with Doppelganger. Upgraded it can attack, assassinate and even be used to escape combat, throwing your conscience into your copy and leaving your body to the rats. Blink– If you played the first game you’ll already be familiar with the short-range teleport of Blink, a useful tool for exploration, stealth and even combat, letting you move across distances in an instant. It can be upgraded in the sequel to allow you to travel further, to stop time when activated so you can change direction – like Daud could – and to allow a special attack that can be triggered at the end of a blink. Bend Time– Corvo will still be slowing and stopping time to make people eat their own bullets and other fun things, but you’ll be able to scrub forward through time to speed things up when you want. It can be upgraded to stop time completely and to allow you to move even faster when the world slows to a crawl. Dark Vision– See the Emily section above. This is the only power the dual protagonists share. Devouring Swarm– Conjure up a swarm of rats to devour enemies, or their corpses, saving you bothering to toss their bodies into a bush. You can upgrade them to follow you around, Pied Piper-style, and you can increase the size of the swarm, or split them into two independent groups. Possession– Take over a rat, fish, or even an enemy and force them to do your bidding with Possession. You can upgrade it so you can chain between hosts, jumping through a room from lifeform to lifeform. If you’re bored of those lifeforms, you can upgrade it to allow you to hide as a corpse. Maybe make sure you don’t have your rats summoned here though, eh? Windblast– Windblast is basically a telekinetic blast of energy that’s used for crowd control and throwing people from really high places. 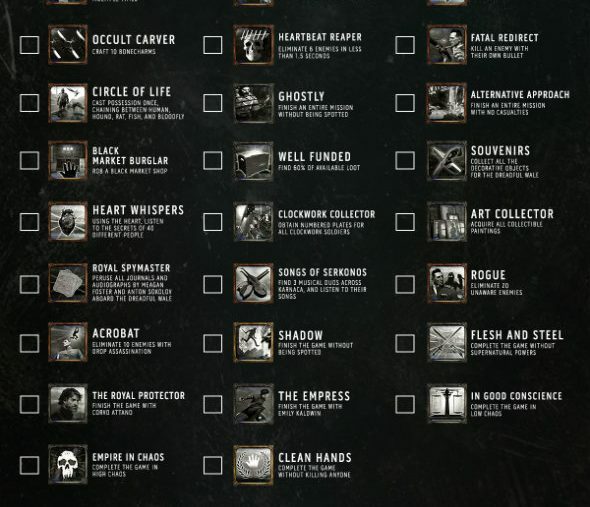 Bethesda have released the full list of achievements for Dishonored 2, so if you’re a completionist, you can check them out now and plan your runs to greedily mop them up as efficiently as possible. Be wary, there are spoilers for the main story contained within, so scroll on past if you want to go in fresh. There are two ways to buy Dishonored 2 ahead of its release: one is to just pre-order the game as you normally would, setting you back $59.99/£39.99. As a limited pre-order bonus, most retailers are throwing in a copy of the first game and all its DLC for free. Pre-orders get access to the game a day early which, funnily enough, is the same day games sites will be getting review code. Bethesda are also selling a super-expensive, super-exclusive collector’s edition of the game that comes with a glut of goodies, and so it jolly well should for $99.99/£79.99. 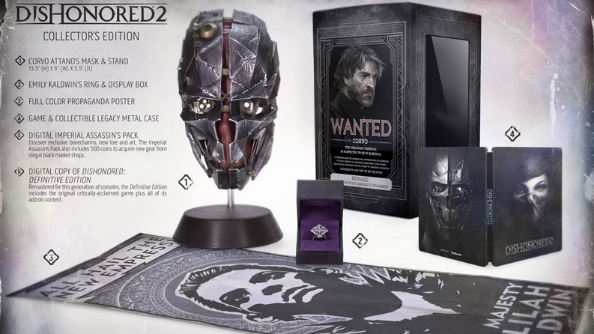 Of course if you have always dreamed of owning a model of Corvo’s mask, a replica of Emily Kaldwin’s ring, a large propaganda poster (based on something in-game, not a horrible real-world regime), a big metal box to keep it all in, the definitive edition of the first game and some exclusive tidbits of DLC, then this is the pre-order of your dreams. Steam preloading on PC is live right now and it’s around 38GB. There will also be a patch to download before you can play, so make sure you’re online if you don’t want disappointment when you fire it up on launch day. Demonstrating the duo of assassins in action in their new city of Karnacka, there’s an overly edited run-through of a mission that was shown at E3. 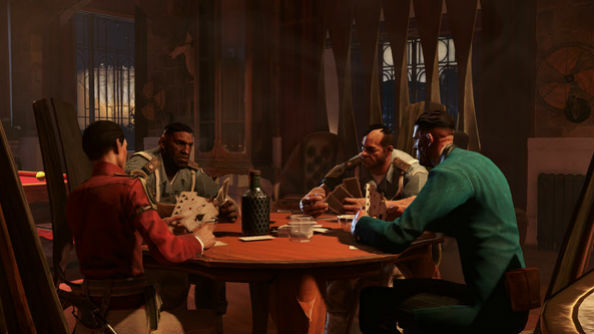 The 12-minute slice of gameplay shares its focus between the game’s opening and a selection of the new powers and tools players will be using throughout Dishonored 2’s story. Check it out below. For an overall look at Dishonored 2’s gameplay, environments, characters and themes, there’s a brief two-minute trailer below. If you’re wondering what the game is like when the action heats up, here’s the ‘Daring Escapes’ trailer. That’s all we’ve got so far on Dishonored 2, but we’ll be updating this page as more information about the game is released.